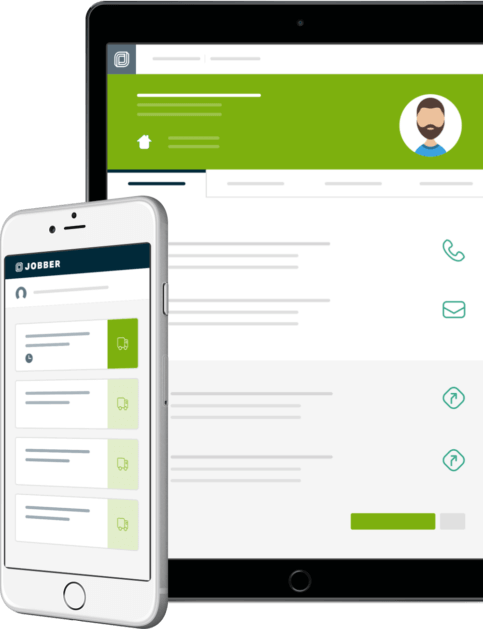 Jobber offers a more wider variety of features, giving you more tools to manage your team, impress your clients, and grow your business. As your business grows, you'll need more comprehensive features to handle client communication and quality assurance. According to our ZenMaid review of their pricing page, there are a set number of features available, and higher pricing tiers only offer more user logins. With Jobber, you're getting the features you need when you need them—along with the benefit of more users. You'll never forget about cleaning appointment. With Jobber’s scheduling and dispatching feature, you can create a job, choose the client and assign it to your team instantly. Use a checklist to walk your team through the steps of what they need to do next at a job. Checklists are a great training tool for your team and ensure consistent service each and every visit. Client hub is an online, self-serve experience that lets your clients view their records, pay outstanding invoices, and request new work—all in one place. Know your customers and provide industry-leading service by sending reminders and follow-up emails right from Jobber. "I want to say that Jobber is awesome. I doubled my business from Q4 last year to Q1 this year and I know I wouldn't have had that success without Jobber! It was the most intuitive scheduling platform for me compared to ZenMaid and Housecall Pro, and I did demos and trials with both. Jobber is super simple overall and that makes learning to use it to its fullest abilities do-able for a busy person like me! I refer people to Jobber every chance I get, hopefully some of them will the potential and value in the investment in their business." "Thank you for the wonderful software." "It has helped my business tremendously. I know there are other similar programs out there, but I love that the Jobber team continues to improve the program by adding new features, and making changes that make my job easier. "